What’s the Project? 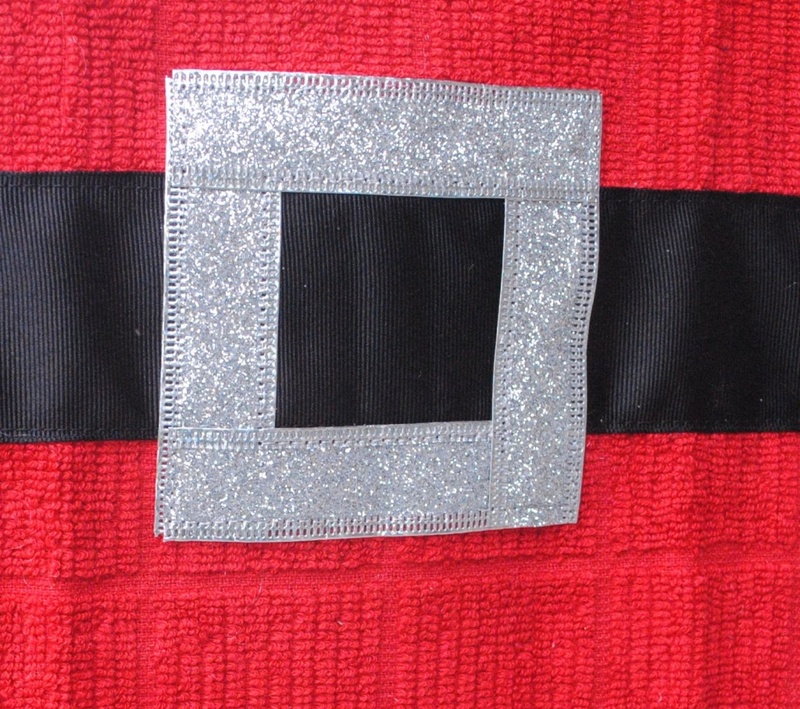 This cute Santa hand towel makes a great gift for neighbors or friends this Christmas season. Easy to make and it’s so cute! Does it seem like with the introduction of Pinterest into the world neighbor gifts are getting more and more creative each year? I know my neighbors are getting downright amazing with their little gifts they drop off. So creative! Kind of puts the pressure on to come up with something cute! So, after a little brainstorming this year, here is what I came up with for a cute, creative and fun neighbor gift. Oh how I love it! 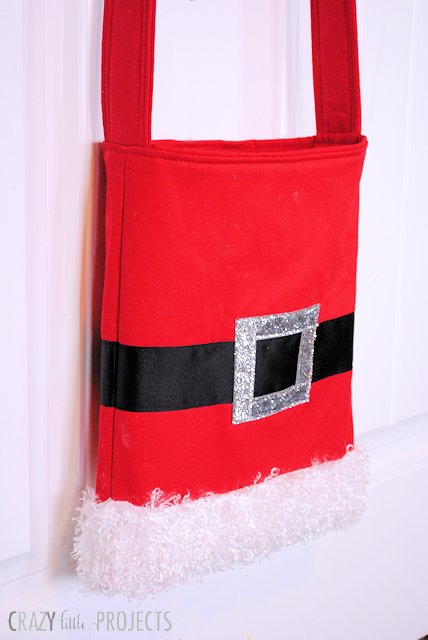 A Santa Suit hand towel! (Or dish towel-whichever.) Love how it turned out! 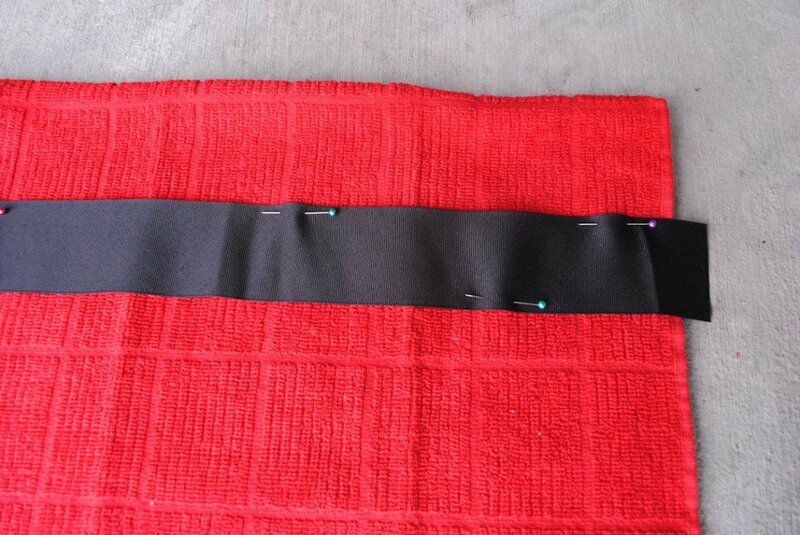 Now, this is easy and it costs probably about $4 is all (and takes like 10 minutes), BUT, you do need to know how to sew. 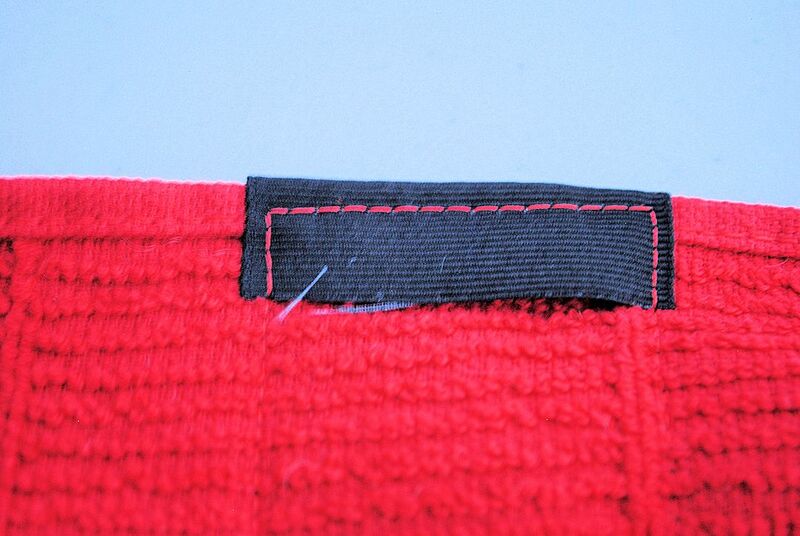 It’s very simple sewing, a couple of straight lines, you can do it. Now cut your silver (or gold) ribbon into pieces that are approximately 3 3/4″ long. (It’s going to vary a little depending on how wide your black ribbon is. That’s it. Not too hard right? And so cute and fun. 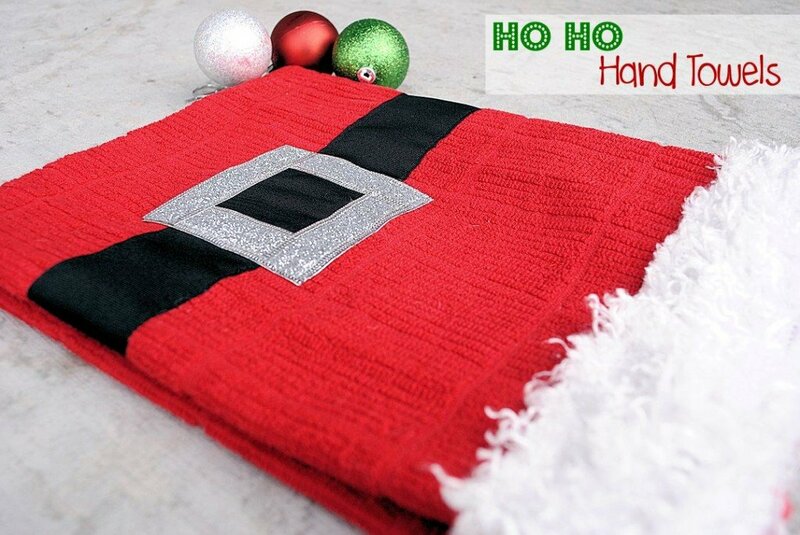 And these cute Santa hand towels are not something they are likely to get from anyone else. Love these towels. 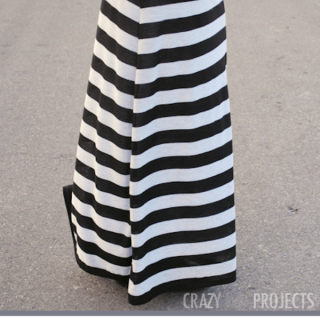 I am pinning because as soon as I finish with your sewing classes, I am planning on making them for next year!!! Good! They are about as easy as sewing gets too, so they’ll be a great project! Amber, these towels are just so cute! I’ve seen them on Pinterest quite a bit, so this post must be doing well :). Thanks for sharing at Hookin On Hump Day! Any idea how the fur holds up when the towels are laundered? Did you actually use and wash these? I’m wondering how the fur was after washing. Thanks! Do place the bottom of the fur even with the bottom of the towel? Or did you letbit hang over a little? And how far from the bottom did you place the belt? Yes, I put it right at the bottom and then the belt is just a couple inches below the midpoint.